The Zimbabwe Hospital Doctors Association has come gun blazing against the Minister of Health and Child Care Dr Obadiah Moyo and his deputy Dr John Mangwiro for misleading Acting President Constantino Chiwenga over the badges of the 550 suspended junior doctors and the procured medical supplies at Natpharm. Chiwenga flanked by Dr Moyo, Minister of Higher and Tertiary Education Professor Amon Murwira and other senior health officials toured Natpharm yesterday to appraise themselves with the delivered medical supplies. Chiwenga also visited Parirenyatwa Group of Hospitals to assess the situation after medical doctors’ industrial action clocked 27 days to which the acting President avoided visiting wards where he could have met the crisis face to face. After the tour, Chiwenga then briefed the media and lambasted junior doctors for unlawfully downing tools, a position confirmed by the labor court last week. However, in a twist of events, late yesterday, the ZHDA challenged Minister Moyo and his deputy Mangwiro to come clean on the impasse between doctors and the government charging that the two sold Chiwenga a dummy. “The Minister of Health and Child Care, Mr O. Moyo and his deputy Dr J. C. Mangwiro have misinformed the Acting President CDGN Chiwenga (Rtd) on the reality of the prevailing situation in the health sector. This act is a poor attempt at covering up their shortcomings in the ministry and running to smear campaign on the doctors,” ZHDA said. “When we visited Natpharm, we did not see the protective clothing and laboratory machines we requested. Instead we noted that some of the medication which was being peddled as stocks was beyond expiry date and the said consignment has donor drugs which should not be passed for bought drugs to the taxpayer. “Furthermore, the minister said the medication was procured two weeks ago but none has reached our hospitals. We would like to know whether the medication was kept until it expired or was procured ‘as is’ both of which are acts of sabotage to the nation and the Presidium…” part of the statement reads. 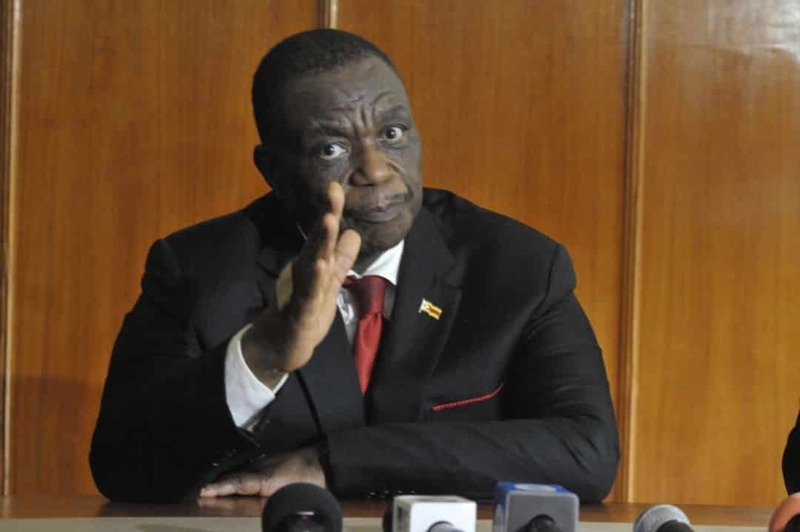 The ZHDA further denied Acting President’s claims that the striking junior doctors were on an internship program suggesting they are yet to complete their programs saying the duo Dr Moyo and Dr Mangwiro should have advised Chiwenga better given that they know what happens in the medical school. “The junior doctors who initiated the strike and have been suspended are wholly qualified doctors who hold two Bachelor Degrees of Medicine and Surgery (MB and ChB) from accredited institutions and have graduated from university. They have undergone five and half years of intense training including clinical rotations and are not under the ministry of Higher and Tertiary Education as the ministry would like the Presidium and the public to believe.